Microseismic analysis for a horizontal well completed in the San Andres in Cochran County was used to measure the geometry of the created fracture network, evaluate optimization potential for the treatment design, and understand wellbore density for highest capital efficiency. Acoustic data were acquired with an 11-arm star-shaped surface array during the treatment and used to image microseismic events and the created fracture network. Analysis showed a hydraulic half-length of about 300 ft with a propped half-length of about 80 ft. While a significant amount of activity was observed above and below the target interval the total propped height was only 140 ft. Microseismic activity was fairly symmetrical about the wellbore with fracture planes oriented mostly at 93° and some failure between 100-130°. Maximum horizontal stress direction was determined at around 40°. Horizontal stress anisotropy was observed to be low. Microseismic-based reservoir simulation shows that depletion occurs outside of the created fracture network as expected for a carbonate reservoir but indicates that wellbore density can be increased from four to six wells per section. In addition, treatment size may be increased for additional frac length and improved drainage. Historical production in the area is fairly variable and reflective of geologic heterogeneity. Operators are typically trying to intersect and/or access as many pockets with favorable reservoir properties as possible with horizontal wells and appropriate hydraulic stimulation designs. Offset operators are reporting an IRR of 129% for a one-mile lateral with an EUR of 250,000 bbls and a $45/$2.50 price deck. This makes the San Andres a viable investment and competitive with some areas in the Midland and Delaware Basins. For Cochran County specifically, the study well shows that acreage in the area offers more attractive returns than previously expected by being able to increase wellbore density from four to six wells per section. Biography: Dr. Peter Duncan: Peter M. Duncan is President and CEO of MicroSeismic, Inc. a Houston based oil field service company specializing in hydraulic fracture stimulation surveillance and evaluation. He holds a Ph.D. in Geophysics from the University of Toronto. His early career as an exploration geophysicist was with Shell Canada and then Digicon Geophysical, first in Calgary then in Houston. In 1992 he was one of 3 founders of 3DX Technologies Inc., a publicly traded independent oil and gas exploration company. Duncan was 2003-04 President of the Society of Exploration Geophysicists (SEG). Duncan was the Fall 2008 SEG/AAPG Distinguished Lecturer speaking on the subject of Passive Seismic at 45 venues around the world. 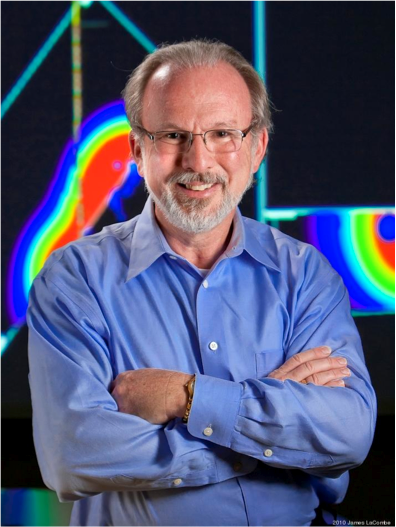 He is an Honorary Member of SEG, the Canadian Society of Exploration Geophysicists (CSEG), the Geophysical Society of Houston (GSH) and the European Association of Geoscientists and Engineers (EAGE). He received the Enterprise Champion Award from the Houston Business Journal in 2010, the World Oil Innovative Thinker Award in 2011, and was the 2013 EY National Energy Entrepreneur of the Year. In 2014 he received the Virgil Kauffman Gold Medal from SEG.